Rumors abounded in the land, of ogre scouts, and humanoid raids. A delicate balance was maintained among the rulers of the region, all who seemingly strove to bring their brand of civilization and justice to the area. Or, just their bid for power and influence. Tales were told of the witch kingdom of the deep forest, and their sinister counterparts that lurked in the areas around the kingdoms. The ogres had risen out of their dumb stupor and lethargy, and were seemingly intent on re-conquering the area of their ancient forebears. One province had already fallen. And an ancient cult of earth wielders and geomancers slowly gathered the reins of power from their hidden strongholds. 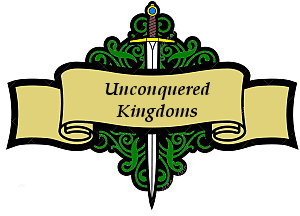 The Unconquered Kingdoms are a wilderness area filled with the beginnings of empire. But don’t be fooled by the labels and the borders, these lines sometimes exist only in the minds of the “rulers” and the map makers. The campaign takes place on the world of Alfaysia, and the continent of Alyndrica. The Unconquered Kingdoms is a no-mans land of wilderness and ancient battlefields directly between the two great world powers, the Anguis Imperium and the Varencian Empire. Both of which have a vested interest in which kingdoms thrive or fail in that area. This campaign is a combination of realm management (25%) and character adventure (75%). 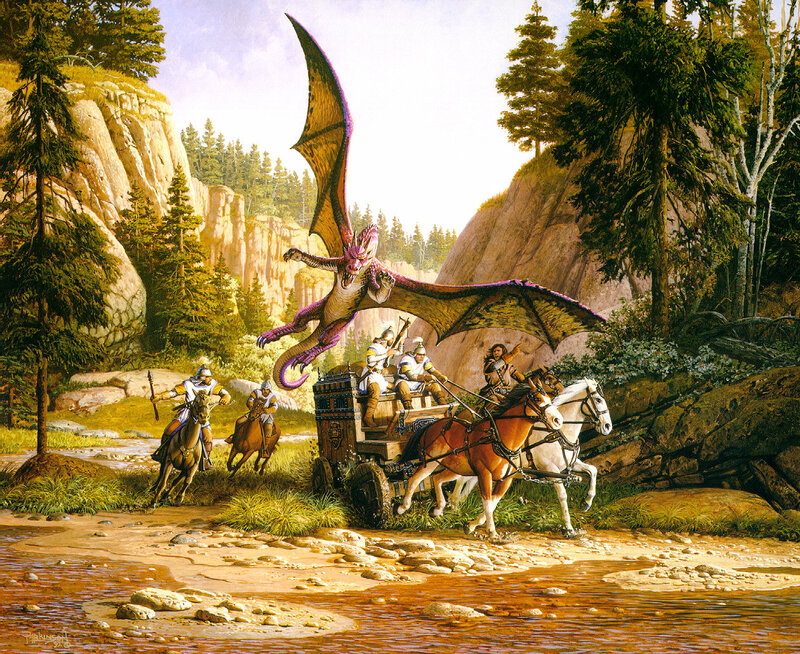 During the character adventures, the realm management portion (based on the Birthright rules with some modification) is on hold, unless the adventure exceeds a three month period (the length of a realm turn). The characters start out as regular adventurers, with some ties to the movers and shakers of the kingdoms. Examples such as; works for the militia under the command of a province ruler, or an up and coming rogue known by the thieves guild leader. Eventually, as the characters level, the story should take them into situations where they will advise the rulers of the area. Each player is designated a contact (one of the leaders), that they make decisions for based on the overall story line (this may be the ruler they eventually replace, but it doesn’t have to be). Ecko, yes….mostly. On a pause for the summer. And I still have backlogs of adventure logs to post. Man, your page looks great!! How do you change the background for the middle tables? Gosh! At last I can finally let go of those thumbs! (LOL!) Well done: SkidAce, mmartin_10, AFCop, ProfessorHill, the_app, xLucix, xyberspecter and villakeep17! Holding thumbs for your CotM (surely coming soon)…..
Great job Skid. Really enjoying the story. I like your maps a lot. Organization is clear and easy to follow. Overall look is very spiffy. Glad they brought the comments back so I could say so. I was liking the crisp cleanness with no parchment actually. But I am willing to experiment. Everything is really coming together here! Looking great! Hope you add a parchment- would be my main piece of advice right now.